RIESIGE PALMEN! | Elger's Weblog! Don’t you know that girls yearn for big schlongs? Turn your small knob into a huge meat stick! 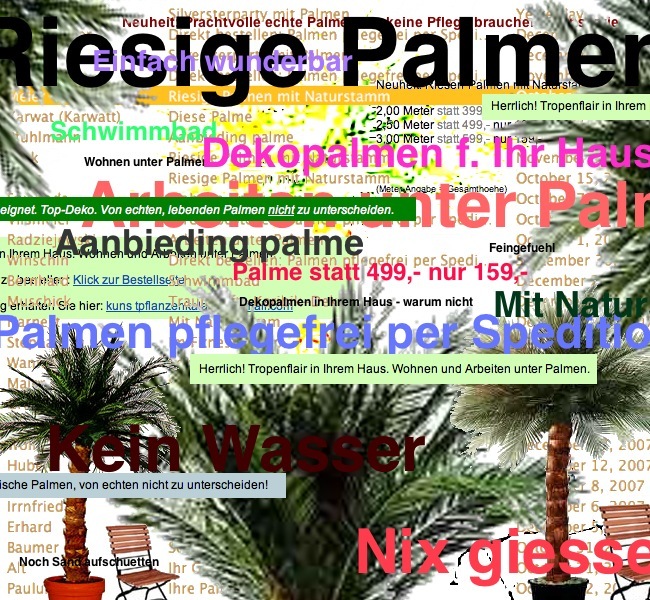 This entry was posted in Photoshop, riesige palmen and tagged art, kein wasser, riesige palmen, SARS, spam on December 23, 2007 by elger.